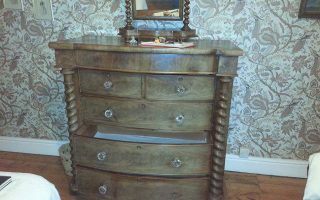 Before and after shots of a large chest of drawers fully restored by ourselves for clients in Beeston, Nottinghamshire. 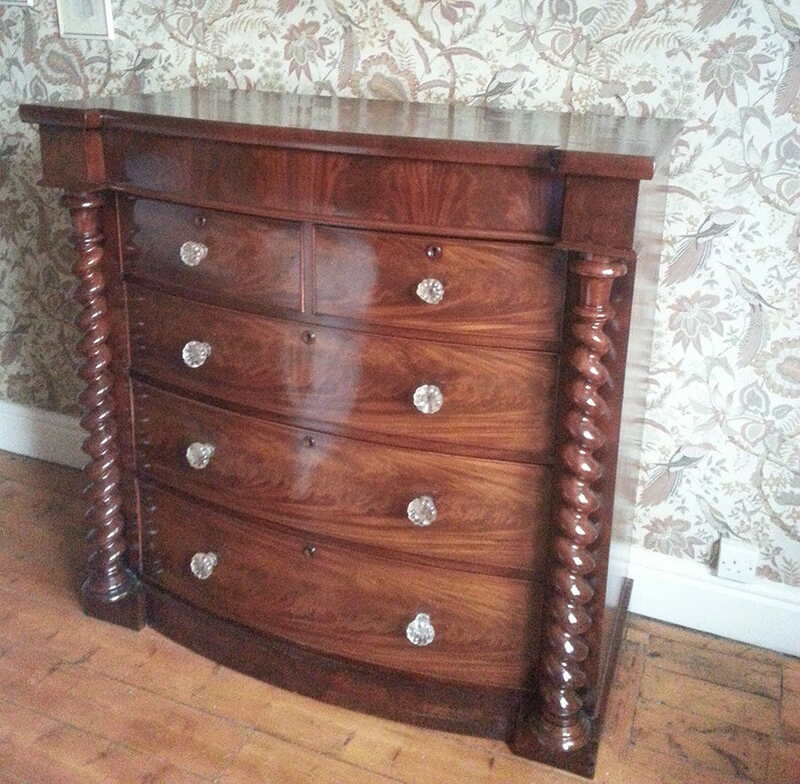 The drawers were missing sections of beading and one of the glass knobs needed re-fixing. 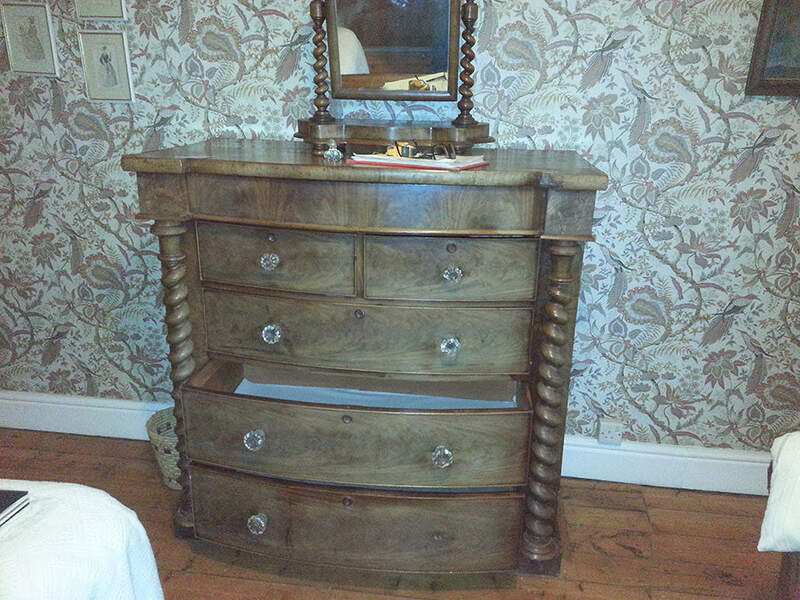 Various areas of veneer needed attention and the drawers all needed re-running and fitting. The Barley twist pilasters were both loose and needed re-fixing. 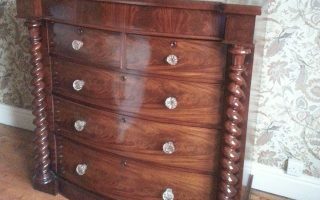 The piece was sun damaged and the decision was made to completely hand strip it and re-finish it to bring it back to its rich mahogany colour. It lives on an upper floor so had to be carried upstairs by Rob and myself, which is all part of the service of course.